This could be LG’s first big hit in the PC space. 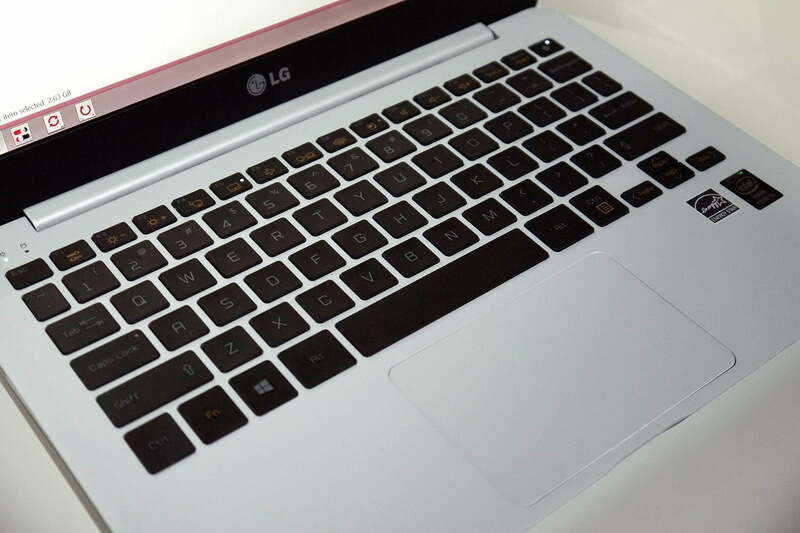 LG has been in the laptop market for years, but its entries have often felt half-hearted and uncompetitive with companies that focus on PCs exclusively. That may change in 2014, however, with its new Ultra PC. The hardware’s nothing special: fourth-gen Intel Core i5 processor, 13.3-inch 1080p touchscreen, 4GB of RAM and either a 128GB or 256GB solid state drive. What sets the system apart is its design. LG has somehow managed to slim the chassis down to only 13.6 millimeters (.53 inches) while shaving weight to 2.16 pounds. 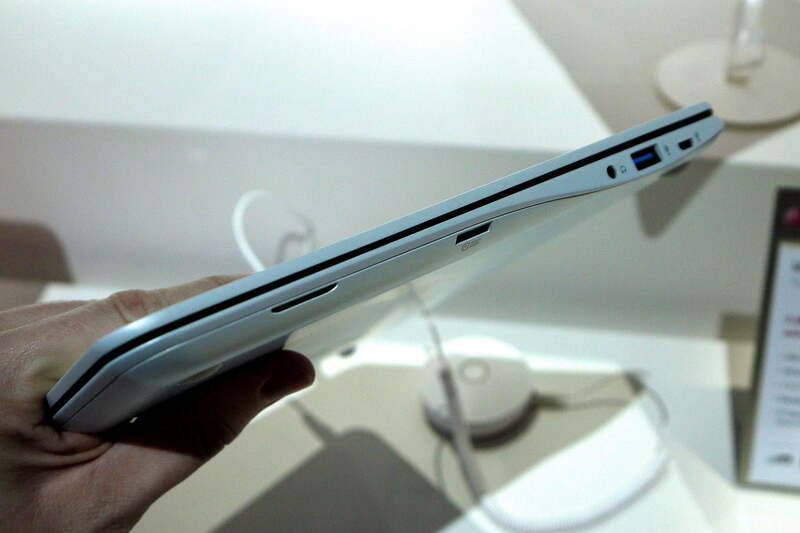 That’s absurdly light for an Ultrabook with a 13-inch screen. Thinning the system risks cheapening it, but there’s no hint of that problem with the Ultra PC. Once we got over its surprising lightness we noticed the chassis felt rock solid and the display lid, though it does allow some flex, is not easier to bend than the screens found on heavier laptops. This is one thoroughly engineered piece of kit. The secret to the system’s weight reduction may be the display bezel, which is just 4.4 millimeters wide at its thickest point. Reducing the bezel makes the laptop more attractive and reduces overall size, which means the Ultra PC’s overall bulk is closer to a 12.1-inch notebook than the 13.3-inch models we’re used to. Even the keyboard and touchpad seem adequate. Neither is outstanding, to be sure, but they’re at least not compromised by its size. This is surprising, because laptops this thin tend to have shallow, unpleasant keyboards. Even connectivity is just OK thanks to two USB 3.0 ports and HDMI-out, but again, the competition rarely offers more. Pricing and availability for the Ultra PC are undetermined, though we’re told the release is tentatively set for mid-year. If LG can put this Ultrabook on the market at a reasonable price – say, just north of $1,000 – it could have a real hit on its hands.